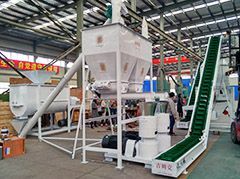 Recently, a test run of biomass pellet machine for coffee husks (also called coffee shells, skins or pulps) and skins are carried out for one of our client in Switzerland. His raw materials are dry coffee husks mixed with some dusty pieces, parchment and some hard parts of the shell. 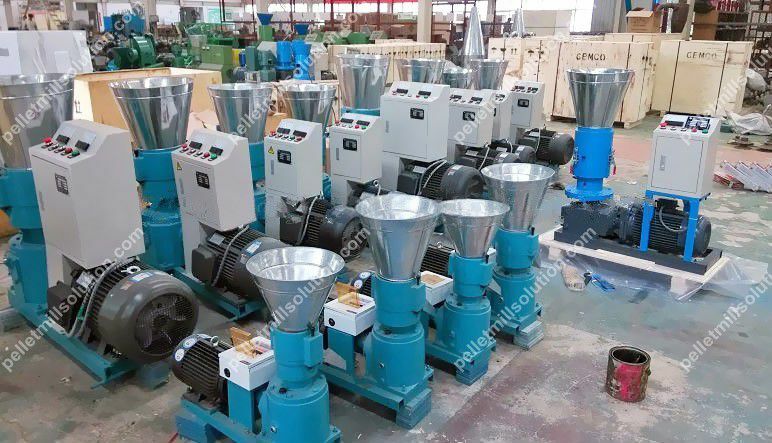 One of the key factor that affects the quality of final pellets is the pressure during the pelletizing process. A relatively high pressure is needed. Another factor you should know is the binder. 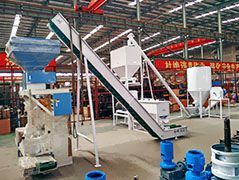 In order to achieve better effect, you are suggested to add another materials as binder such as sawdust, bagasse, peanut shells, etc. 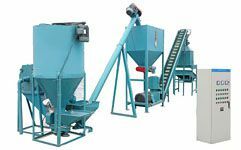 The following videos are about the pelletizing process of this test. After the process of coffee-cultivation has taken place, the remaining products are known as coffee husks. Coffee husks are very beneficial and can be used for various purposes including caffeine and tannin extraction, and can also be used as an alternative to coal and fuel, in biomass pellet machine. Brazil, being one of the world's major coffee producing country, has many industries and plants which take advantage of the coffee husks in producing electricity. Being very beneficial products in the market, coffee husks can be applied in different areas which include; centralised steam boilers, power plants, boilers, co-fire with coal in some industrial places and as House Hold BBQ Rack. There are many reasons as to why you should choose coffee Husks to make Biofuel pellets. One of the core reasons as to why you should pick it is that it has similar elements as sawdust. These elements include high density, ease of processing and the calorific value is equally high. Coffee husks are usually uniform in size and shape thus making the making the transformation process into biomass pellets much easier and simpler. It is much evident that the demand for coffee and coffee products has grown to a great extent around the world. This has led to increased production of coffee with Brazil being the leading producer. For massive production and export of coffee and coffee products like Brazil, there has to be an availability of land reserved for coffee production, enough water and labour. A production of an upward 150,000 tonnes of coffee husks is usually observed in Brazil almost all the time. Coffee Husks are an important asset in the energy industry as they can be manufactured into fuels thus making them the most affordable local energy source. This kind of energy can be used in different industries to generate the electricity needed. They can also be used in homes for heating purposes. 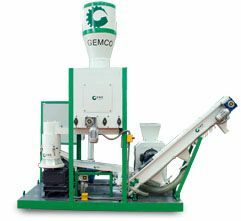 How are the coffee Husk pellets processed? Choose an area close to raw material production area to reduce on costs incurred due to production and operation. Use correct formulae in getting pellets with higher burning calorific value. This is because different biomass materials contain different components. Some of the formulae involved include; 3.25% corn cob and 75% coffee husk, 1.75% corn cob and 25% coffee husk, 2.5% corn cob and 50% coffee husk, 4.5% bagasse and 25% peanut shell and 25% coffee husk. Coffee Husk pellets are now commonly applied in doing several tasks in homes like cooking, boiling and heating. They are also widely used in co-fire power plant, hospitals and even schools. So if you want to make much profit out of little input, start your own coffee husk pellet manufacturing today!